We are able to draw four obvious conclusions here. First, “a man” is parallel to “he.” Second, “believing in” Jesus is synonymous with “looking at” him. Third, “believing in” the Father is the same as “seeing” the Father. Fourth, “the one who sent me” in both verses refers to the Father. With those parallel ideas in mind, let’s turn our attention to the verse that is the reason for this blog’s title: v. 46. The first phrase of v. 46, “I have come into the world as a light,” isn’t the first occurrence of such an idea. Previously, John 1:5, 9; 3:19; 8:12; 9:5 have advocated Jesus as the Light of the world. Believing in the Father=Seeing the Father=Not Staying in Darkness. Just as light illuminates that on which it shines, Jesus as the Light of the world came to show us the Father. Yes, his light exposes the deeds of darkness (3:19-20). Yes, his light shows the way of salvation (8:12). BUT, if Jesus did not also faithfully represent and show us the Father, the tragedy of 3:19-20 and the promise of 8:12 have no ultimate meaning. It’s wrong for people to love the darkness because such a sinful love is tantamount to rejecting the Father. And people who follow Jesus will have the light of life because Jesus is the Way to life in the Father (14:6). Seeing John 12:44-46 in parallel form also shows what it means for people to remain in darkness. If believing in Jesus means to also believe in the Father (12:44), and if looking at Jesus also means to see the Father, then “staying in the darkness” would mean not seeing/believing in the Father. Essentially, what sinners need is to believe in and see the Father! But our sinful minds and hearts cannot perceive who the Father is. As the Light of the world, Jesus shows us the Father (14:9-10) and is the Way to the Father (14:6). Believing in the Father happens when we believe in Jesus. Seeing the Father happens when we look to Jesus in faith. The reason people who believe in Jesus don’t remain in darkness is because they now believe in and see the Father–and not knowing the Father is the plight of being in the dark. Praise be to the Father who sent his Son as the Light of perfect revelation. Let’s start with the question: why does he have three so-called “missionary journeys” when it seems he was engaged in mission work (Acts 9:19b-20, 23, 26-27; 11:25-26) before the dating of the “first” journey? The three journeys of Paul do not indicate when he first commenced mission work. The three journeys, instead, have a common launching point: Antioch of Syria. Paul’s first journey from Syrian Antioch is highlighted in Acts 13–14 (13:1-3; 14:26-28). He launches from, and then returns to, that city. Paul’s second journey from Syrian Antioch is highlighted in Acts 15:36–18:22 (15:36-41; 18:22). Paul launched from, and returned to, that city. Paul’s third journey from Syrian Antioch is highlighted in Acts 18:23–21:16 (18:23; 21:16). Although Paul launched from Syrian Antioch this third time, he didn’t return there. Instead, his journey ended with his arrival in Jerusalem (21:17), soon after which he was arrested (21:27-36). When scholars talk about Paul’s three missionary journeys, then, they are referring to the three mission ventures that were each launched from Syrian Antioch. At the beginning of the second (16:1-6) and third journeys (18:23), Paul revisited churches in southern Galatia that he established during the first journey (13:4–14:26). In his second missionary journey, Paul mainly focused on Corinth (18:1-18), remaining there for a little less than 2 years. In his third missionary journey, Paul mainly focused on Ephesus (19:1-41), remaining there for almost three years (20:31). Understanding these aspects of Paul’s three missionary journeys is important, since their narratives comprise almost all of Acts 13–21 (the exception being the event and outcome of the Jerusalem Council in Acts 15:1-35). Therefore, neglecting study of Paul’s missionary journeys will handicap one’s grasp of a large chunk of the Book of Acts. This verse is sometimes mistakenly interpreted to mean that Jesus draws all individuals to himself. 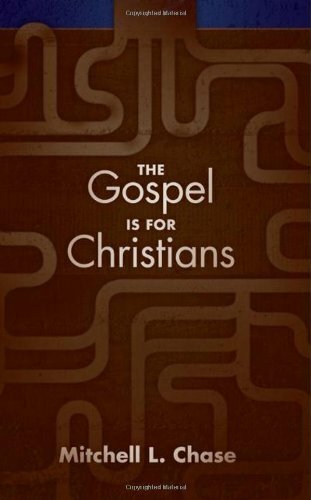 John’s Gospel, however, will not permit that interpretation. In John 6, Jesus says, “All that the Father gives me will come to me, and whoever comes to me I will never drive away” (6:37), and also, “No one can come to me unless the Father who sent me draws him” (6:44). In John 6:37 and 6:44, both verses describe people “coming” to Jesus, which is synonymous with “believing” in him (see the parallelism in 6:35 that shows how “coming” to Jesus and “believing” in him are equivalent phrases). Also in both verses, Jesus speaks about the same people with the phrases “all that the Father gives me” and “the Father who sent me draws him.” Those who are given are those who are drawn. Since John 6:37 implies that not every individual is given, we can confidently say that not every individual is drawn. In John 6, those who are “drawn” are saved. If 12:32 means that every individual is drawn, then we must affirm universalism (the teaching that every individual will eventually be saved by God). But since Scripture does not teach the salvation of every individual, we must reject an individualistic interpretation of 12:32. If not every individual is drawn to Jesus, though, then what does he mean in 12:32, “I…will draw all men to myself”? (1) In John 12:9 and 12:12, Jews approach Jesus with interest in him as the Messiah, mainly because of his recent miracle in raising Lazarus (11:43, 45; 12:9-11, 17-18). And in 12:20, some Gentiles go to Jesus as well. John 12, then, portrays both Jews and Gentiles going to Jesus. (2) In John 10:16, Jesus promised that he would have one flock, comprised of Jews and Gentiles. The Gentiles are those “other sheep that are not of this sheep pen.” Jesus, the Good Shepherd (10:11), would call both Jews and Gentiles to salvation. (3) In John 11:51-52, the narrator says that “Jesus would die for the Jewish nation, and not only for that nation but also for the scattered children of God, to bring them together and make them one.” The “scattered children of God” are the elect Gentiles who will be part of the people of God through faith in Jesus. Jesus indeed draws “all men,” not because every individual is drawn but because sinners are drawn without bias to their ethnic distinction. Jesus not only came for Jews, he came for Gentiles. He not only came for the Jewish nation, he came to give himself for every nation! John 12:32 teaches that people from every nation will be saved (Rev 5:9). 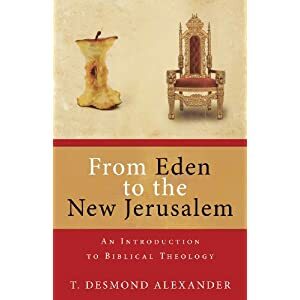 The subtitle to Alexander’s book is An Introduction to Biblical Theology, and he provides exactly that. 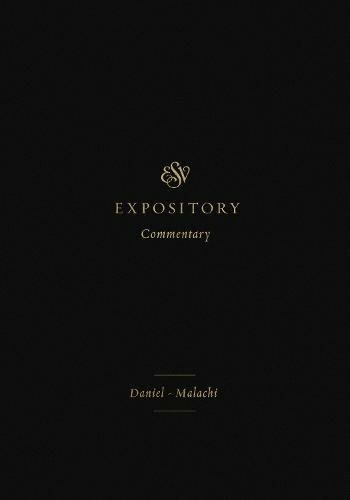 This book is theologically accessible to new and mature believers, and it gives great insight into the basic storyline of the Bible using the beginning of Genesis and the end of Revelation as the interpretive lenses. 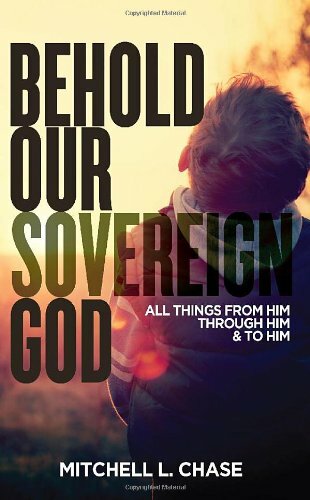 In less than 200 pages, he provides an overview of certain biblical themes that are key topics in the biblical storyline, themes such as: the temple, the devil, and the reign of God. In reading this book, lights will come on, and there will be many “aha” moments. Buy it today! (1) Lazarus’ resurrection strengthened the Sanhedrin’s determination to kill Jesus (11:47-57). Sure, they had wanted to kill Jesus prior to Lazarus being raised (e.g. 10:31, 39), but the people’s faith-response to the raising of Lazarus (11:45) seemed to be the “straw that broke the camel’s back” for the leaders. More resolved than ever, the Sanhedrin wanted Jesus dead. (2) Lazarus’ resurrection led his family to hold a special dinner in Bethany in Jesus’ honor (12:1-11). During this dinner, Lazarus’ sister Mary poured expensive perfume on Jesus’ feet and dried them with her hair (12:3). 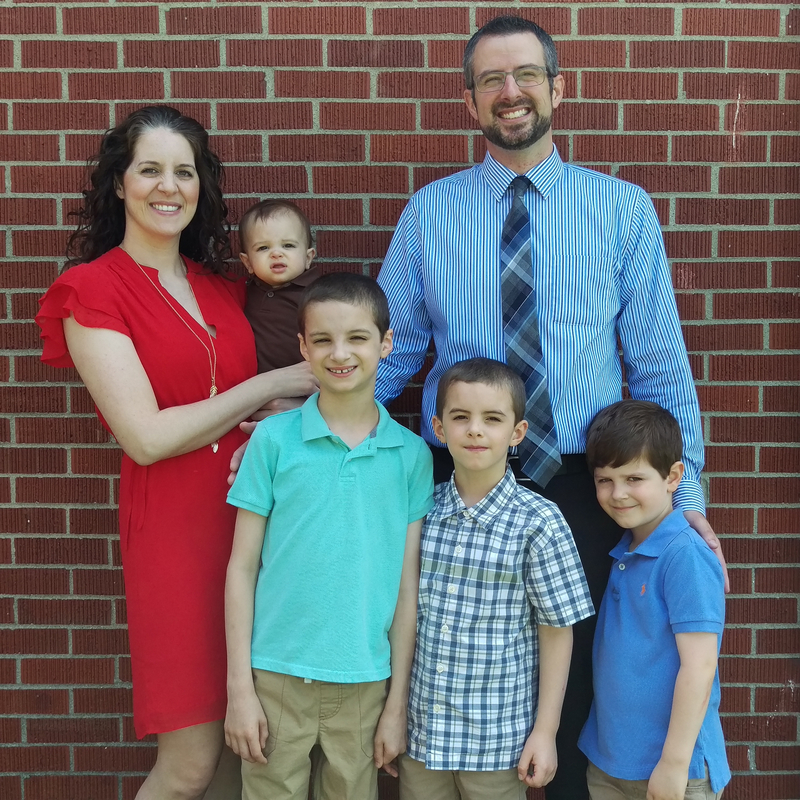 (3) Lazarus’ resurrection seems to have evoked messianic thoughts about Jesus from a “great crowd”–a crowd that welcomed Jesus into Jerusalem with palm branches and messianic declarations (12:13). In other words, Jesus’ reception into Jerusalem on Palm Sunday seems to have been occasioned by a crowd that was intrigued and excited about Someone who raised a man from the dead (12:17-18). In summary, Jesus’ raising of Lazarus did not remain a closed and isolated event in Bethany. To the contrary, this seventh miracle of Jesus’ earthly ministry caused quite a stir among the people and Jewish leaders. And if you were one of the witnesses who saw Jesus call a 4-day-old corpse from a tomb, you might be trying to see him, too, and you might even be searching for the nearest palm branch to wave.